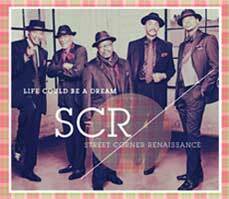 Appropriately titled, “Life Could be a Dream,” is a musical affirmation of all that the group has spoken into existence. The CD contains 17 hits from the greatest of all time, ranging from Sam Cooke’s Frankie and Johnnie to Michael Jackson’s Billie Jean. Throw in some foot stompin’ gospel covers, traditional Doo Wop classics, Ray Charles and there’s something in it for everyone. "Meet Me On the Corner"
“Meet me on the Corner” is billed as a Doo Wopumentary, choc-full-of nostalgia. This ambitious venture digitally recreates an authentic Street Corner musical experience of an urban 1960’s street setting. 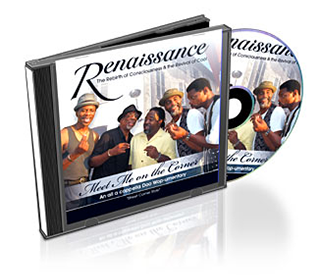 Not your traditional song after song studio recording; “Meet Me on the Corner” is a theatre of the mind radio drama. There are no re-takes or edits in the singing as the guys record genuine anecdotes and patter gleaned from street corner culture back in the day.